Does B2B's addiction to data help or hinder creative copywriting? We chat with SEO expert Tom Telford. Technology and data are sometimes accused of killing creativity within B2B copywriting, but is it a wrongful conviction? In the newest episode of Good Copy, Bad Copy, SEO expert Tom Telford from 3WhiteHats explains how search engine data can be a helpful content creation tool, and what copywriters can gain when they keep search engine optimisation in mind. What is the real killer of creativity? Has creativity declined since the golden age of advertising? Can technology help us to be more creative? What does SlideShare have in common with skateboarding? Finally, Fiona introduces her newest addition to the B2B Content Hall of Fame. It’s Salesforce… for everything they’ve produced. Thanks again to Tom for talking with us. 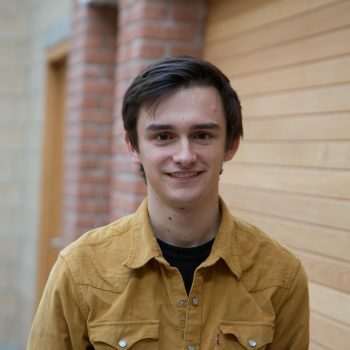 Our first recruit from the Radix internship programme, Ben is a University of Exeter graduate with a degree in (you guessed it) English Literature. Specialising in modernist jazz fiction (it says here), Ben tries to incorporate his love for music into whatever he does. He began by interviewing bands across the country for his blog, as well as supporting the Cornish music scene with his writing for local website Red Van Records. In his spare time, you’ll find him playing in a local pub with his band, or checking out the latest film releases.